Experience luxurious sleep with 300 thread count Liquid Cotton Sheet Set. This silky cotton sheet is made from the finest mercerized 100% cotton pima yarns and have been engineered to be the perfect sheet. These 300 thread count sheets are woven using single pick insertion that results in a high quality sheet that has the hand and sheen of silk but with the buttery soft, moisture absorbency of premium extra long staple cotton. We challenge you to feel the difference, once you’ve tried Liquid Cotton, you’ll never go back to regular sheets. The 4" hem on the flat sheet and pillowcases provide a clean finish. The fitted sheet fits up to a 17" mattress. 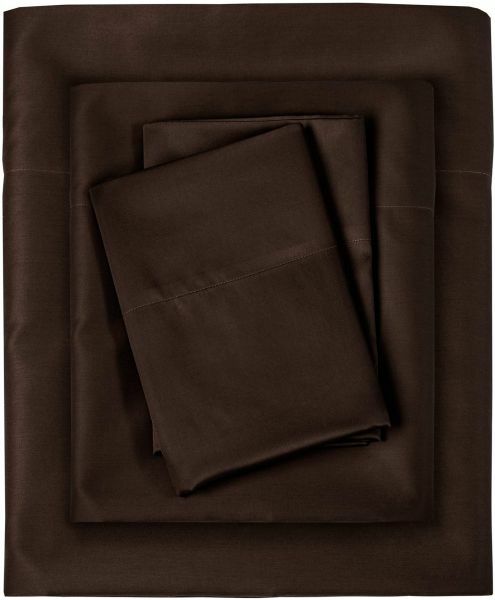 Set includes 1 fitted sheet, 1 flat sheet, and 2 pillowcases.